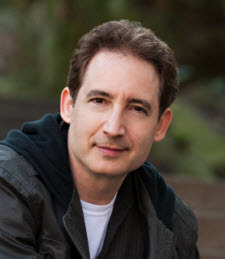 The Farquhar College of Arts and Sciences Division of Math, Science, and Technology welcomed noted theoretical physicist Brian Greene, Ph.D., to Nova Southeastern University as part of the college's 2012-2013 Distinguished Speakers Series. String theorist and author of The Elegant Universe, Greene is one of the world's leading theoretical physicists, known for his entertaining explanations of cutting-edge scientific concepts. The Washington Post described him as "the single best explainer of abstruse concepts in the world today." In his national bestseller, The Elegant Universe, Greene recounted how the theories of general relativity and quantum mechanics transformed our understanding of the universe. He introduced string theory, a concept that might be the key to a unified theory of the universe. The book sold more than a million copies and became an Emmy and Peabody Award-winning NOVA special that Greene hosted. His second book, The Fabric of the Cosmos, a New York Times best seller, was adapted into another NOVA miniseries. Greene's latest book, The Hidden Reality: Parallel Universes and the Deep Laws of the Cosmos, was published in January 2011 and has received similar accolades. His work has also appeared in Wired Magazine and The New York Times. Greene co-founded The World Science Festival in 2008. The annual event's mission is to take science out of the laboratory, making the esoteric understandable and the familiar fascinating to the general public. A graduate of Harvard and a Rhodes Scholar at Oxford, Greene is a professor at Columbia University. He has appeared on a variety of TV programs, including Charlie Rose, Nightline, The Big Bang Theory, and The Late Show with David Letterman, and made cameo appearances in the films Frequency, Maze, and The Last Mimzy. As part of the college mission to prepare students for rich professional careers and active citizenship, the college frames co-curricular programs and experiences around a broad annual theme that unites our community in interdisciplinary exploration. The academic theme for the 2012-2013 school year is "Life and Death." Greene spoke on this theme.